Ellen Taaffe Zwilich’s exuberant Celebration opens the inaugural season of Music Director Francesco Lecce-Chong. 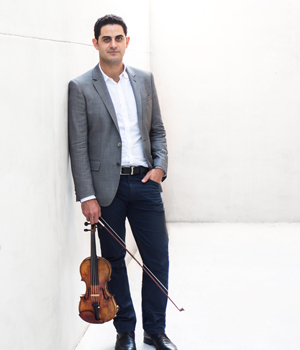 Revel in the ravishing romance and drama of the Brahms Violin Concerto, brought to pulsating life by virtuoso Arnaud Sussman. The monumental Symphony No. 5, written at the dawn of Beethoven’s deafness, crowns our thrilling opening program—a testimony to the unquenchable power of the human spirit to triumph despite the challenges of fate.